Not to mention Clive Benny’s talks! A wonderful local museum. Every village should have one. A little treasure. Loved the Family Tree section. Joanna Opie, a wonderful addition to this excellent museum. Lovely re-interpretation since my last visit. Lovely staff. Very well looked after and with family connections too! Llewellyn Twite was my grandfather. Nice children’s activities. Thank you. All in all a vintage year! Our grateful thanks to everyone involved. Crowds came to the Museum’s Coffee Morning on 1st November, a day so mild that we needed no heating in the Church Hall. 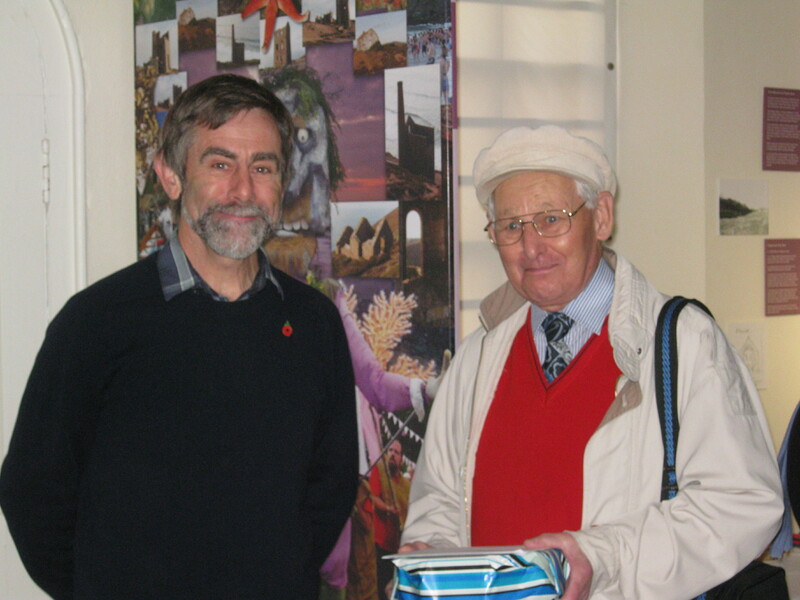 In addition to the usual stalls, Vice Chairman, Clive Benney, had prepared an exhibition of old photographs of St Agnes Station to celebrate the recent acquisition of the Signalbox sign. Members were delighted to learn that recently the Museum had bought a second train staff which had controlled the single track line from St Agnes to Perranporth thus complementing the Chacewater – St Agnes staff bought in 2009. After a very busy morning, Treasurer, Sue Amor, was delighted to report that a total of £486 had been raised, while Membership Secretary, Mary Wilson, had take in £310 in subscriptions. We are very grateful for everyone’s generous support. On Saturday 8th November the Museum Committee hosted a Coffee & Cakes Morning for the Museum Stewards in appreciation of all their hard work during the season. Thanks were expressed to them by Diana Good Dixon (Rota Coordinator), Mike Furness (Shop Manager), and Sue Amor (Treasurer), and also by Chairman, Roger Radcliffe, who presented long-serving Steward David Roper with a gift and card to mark his ‘retirement’ as a Steward.